I came across this exceptionally attractive mix of ferns and aspen while hiking through the Elk Mountains. 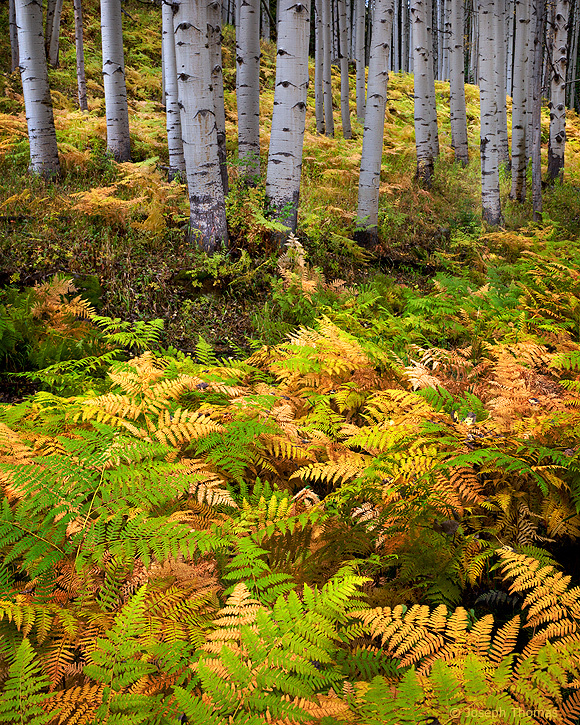 Ferns usually reach peak color before the aspen leaves have started to turn. Emphasizing the yellows, reds, and light greens of the forest floor, as well as the contours of the hillside, produces an interesting composition.